Okay, I’m guessing that my peers who grew up on 90’s pop music just bobbed their heads and mouthed these opening words to the 2001 Backstreet Boys hit “The Call.” Maybe you even ended the phrase mimicking AJ’s catchy inflection: destinay-ay. Most of the song, which is about a wishy-washy dude being unfaithful to his girl, has nothing to do with my vocational journey. But this first line came to my mind at the L.A. Religious Education Congress when my community and I had a chance to chat with Fr. James Martin, a Jesuit priest and one of our favorite spiritual writers. Fr. Jim was just as approachable, kind, and sincere in person as one might suppose from his writings. When I told him that I’m in formation with the Sisters of Charity of Cincinnati, he smiled with genuine delight and asked me how it’s all going. Then he asked if I wanted to hear the two best pieces of advice he’s got on living the religious life. I was touched and replied that obviously I did! I’m 98% sure that when Fr. 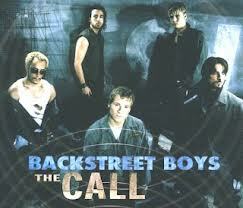 Jim said that second thing about “the call,” he was not referring to the 2001 Backstreet Boys hit. I do think that maybe he was talking about that divine invitation that God speaks into each of our hearts, helping to guide us to our vocation. In fact, the word vocation comes from the Latin word “vocare” which means “called.” Our vocation is the unique way that we’re called to be God’s love in the world. We come to know our call through various and varied experiences. It is something that grows and becomes clearer throughout our lives, but there are often telling moments we can identify that revealed parts of our call to us. They might be fairly ordinary events that seem somehow mystical to the person experiencing them: an unforgettable first date; a life-changing encounter with someone in need; hearing a song that seems it was written just for you. Fr. Jim's advice is wise for anyone in any life, I think -- when we hit bumps in the road, retelling the story of how it all began might give us some insight into why we are where we are and some courage to keep pushing ahead. The first “telling moments" of my own personal call came as quite a shock, as I had never given a conscious thought to becoming a Sister. I want to write them down today (and share them with you). Here goes: Let me tell you the story ‘bout the call that changed [revealed] my destiny. 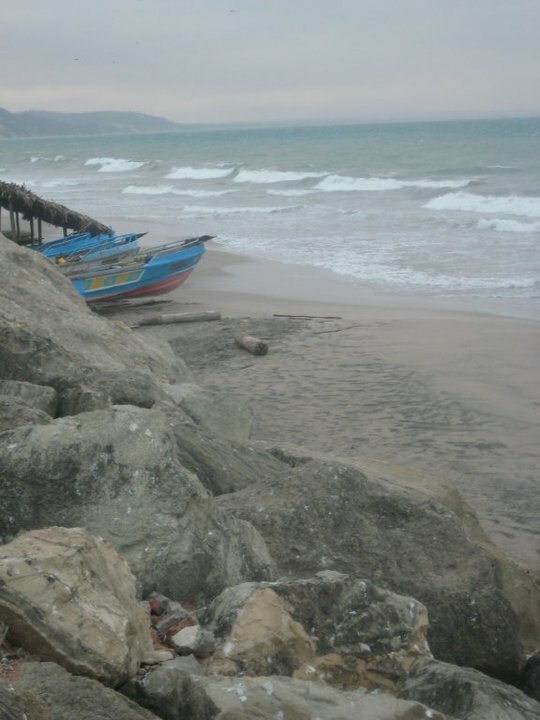 As you read in my first blog entry, my call to the religious surfaced during my time as a volunteer in Ecuador with the program called Rostro de Cristo. 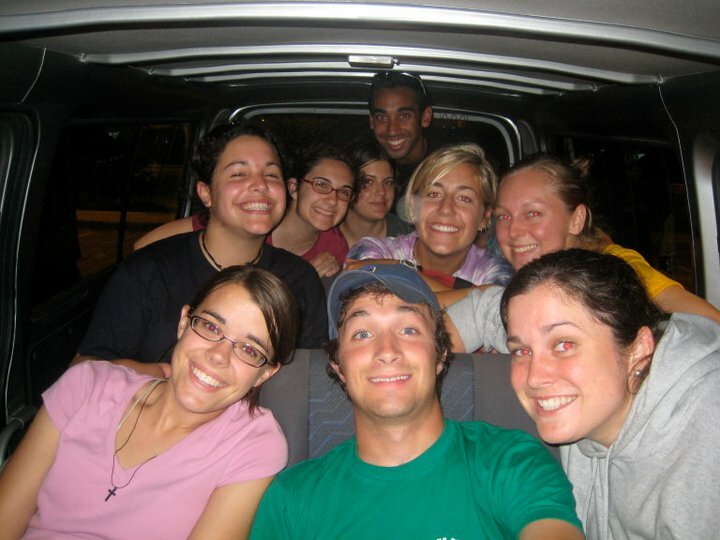 Some crazy impulse, also known as God, inspired me and ten other recent college graduates to commit one year living together in community and walking beside the people of Duran, Ecuador, an impoverished town outside of Guayaquil on the Pacific coast. (My one year actually became two – another surprise from God and a story for a different time!). We each had different work placements in the community and also spent a lot of time, true to the mission of Rostro, just being with our neighbors. God transformed us and opened our eyes as we entered closely into the lives of people who struggle with great economic poverty but who live a powerful faith life. The volunteers, minus Elyse and Amy! A few months into the year, we loaded up the 12 passenger van and drove to the little beach town of Crucita (little cross) where would we spend a weekend on retreat. It was a much needed time of rejuvenation for us as we were dealing with all that comes with being an international volunteer. I missed my family and friends dearly; I already fantasized about the moment that I would see my parents again in the Cincinnati airport in August. Learning to live in community was hard; it was too early to see all of the rewards. At the same time, we were processing the poverty and pain that surrounded us. I reared around, trying to find out who was playing this weird joke on me. But there was no one, just the words hanging in the air. “How strange,” I thought. “Where did that come from?” It disturbed me a bit, but I didn’t think too much of it. Maybe it was just the St. Teresa of Avila prayer book I was reading putting ideas in my head. They would surely soon disappear. The next day, we were back in Guayaquil. A few of the girls from my house and I had made plans to visit with a community of nuns from Peru. We took the bus downtown to their lovely home. They gave us time to pray in their chapel and toured us through the convent. Despite the peaceful environment, I felt increasingly nervous in their house. Then, they showed us a video about their ministries. As images scrolled across the screen of the Sisters teaching, singing, hugging little children, handing out food, etc., my stomach flipped. Something mysterious inside of me said, “I could see myself doing that!” I started to sweat in terror. What was happening? I held the feelings inside and looked out the window on the bus ride home. Two days later, I was at my morning worksite – a clinic where Melissa, a fellow Rostro de Cristo volunteer, and I worked in health promotion. I spent a lot of time in the Psychologist’s office, helping with pre-HIV exam counseling. Francia, the psychologist, was also a counselor for children from the neighboring school. On this particular Tuesday, Francia was out, so I was in the office alone. A cute little girl I had never seen before wandered up to the office door. “Are you for real, God?” I thought, looking up in no particular direction as my face flushed. Suddenly, the conversation wasn’t about the little girl anymore. I pretended to be delighted, but I began to interrogate her: How long have you known you want to be a nun? Why would you ever want to do that? Don’t you want to get married? Don’t you want to have kids? I was a maniac, trying to squeeze wisdom out of this 12 year old girl who answered each question with uncanny poise. Finally, the recess bell rang. “Bueno, hasta luego! (Well, see you later! )” she said and slipped away, totally unaware of the storm she had just stirred up in my heart. God, seriously, what are you doing to me?! I’m just sitting there, trying to work, and little Jennifer comes in and…What does this mean? This year is already so hard for me, and now this? The life of a nun is not the kind of life I want to lead. The thought brings me pain. I don’t want to follow it, pray about it, or even think about it. I’ll do anything you want God – just not that! I was too excited to sleep Wednesday night awaiting what Thursday would bring. Romina and I were actually messaging each other from our respective bedrooms down the hall because the mounting sleepless anticipation just had to be shared. What were we looking forward to, you may be asking yourself: A great party? A tropical vacation? Better. It was the (drumroll)… Los Angeles Religious Education Congress! (pushes glasses up nose). I definitely made the right life choice, didn’t I? Our house community, minus Peggy who we missed dearly, flew to Anaheim to join approximately 38,000 Catholics for a weekend of learning and celebrating our faith. We’d been looking forward to it ever since Andrea attended last year and came back bursting with outstanding reviews. I joke about my nerdy joy over attending, but it really is quite an impressive event! It's not just for religious educators but really for anyone excited about their faith. Staff in the L.A. Religious Education office work for 2 months of the year planning the over 200 workshops, 10 Masses, and other events and prayer experiences. The Congress opened Friday morning with a breathtaking ceremony. There were Tongan dancers, an amazing choir, and a rousing discourse by Sr. Edith Prendergast, the director of Religious Education in the Diocese of Los Angeles and the engine behind the whole weekend. The elation and wonder felt in those initial moments only grew throughout next three days. I’m wishing that I could share everything with you, but I’ll try to give you a taste without writing a novel. My number one piece of advice is this – read anything and everything written by the following people who I was lucky enough to see present in Anaheim: Jack Jezreel, Kathleen Norris, Fr. James Martin, Fr. Greg Boyle, Fr. Richard Rohr, Fr. Ronald Rohlheiser, Fr. James Heft, Sr. Maureen Sullivan. Trust me: your life will be significantly better if you get to know these modern spiritual geniuses. Along with the imparted insights from the presenters, perhaps the most powerful part of being there was the palpable sense of community that is the heart of our faith. Do you know what it feels like to go to Mass with probably 20,000 other dedicated members of the Body of Christ? Looking around the packed arena left me with an overwhelming sense of gratitude for the tradition I was brought up in. The seats were filled with people of all colors and all ages from all over the U.S. and the world. It was getting a real electrifying taste of the “Catholic”-ness of our Church. We sang and read and prayed in many languages – English, Spanish, Tagalog, French, and Tongan. Many offered their talents to fill the space with vibrant joy – dancers, singers, musicians, lectors, catechists, preachers, ministers. Mass felt like the true celebration it is meant to be. As a wonderful group of dancers and servers dressed the altar in the center of the Arena for the Liturgy of the Eucharist, the words of the good old John Foley church song, “One Bread, One Body” popped into my mind. “Many the gifts; many the works. One in the Lord of all.” How awe-inspiring to think of each person at the Conference returning to their local community and living out what they learned that weekend. THIS is Church, I thought. Within that diversity of those gathered there were so many personalities, passions, and gifts. And to be sure there was discord represented - a slew of different ideas, opinions, political persuasions, and ways of expressing faith. But when it comes right down to it, we can pull up a chair, side by side around the table of Lord, and break bread together. This is the challenge and the marvelous gift of our “universal” Church. All we had heard in the talks echoed this call to community that I felt clearly as the thousands present came forward to receive the Eucharist. The “Amen” we were all saying was not just a rote, empty word. It connects directly to a life of faith in action. It is a commitment to communion with God and others; to taking that self-emptying way into our own strides and giving of who we are for others. It is recognition that encountering the “Real Presence” is not some magical thing that happens once a week at Mass and stays there. It MUST transcend our lives. It is a willingness to seek out, revere, and serve the Real Presence experienced in Eucharist in every single person that we meet, in all of Creation, and especially in the poor. Everything in our faith points us right back to the two Commandments that Jesus considered to be the most important: Love the Lord your God with your whole heart, soul and mind. And love your neighbor as yourself. As Sr. Maureen Sullivan put it, “We’re meant to be Sacraments to each other.” At a rocky moment in Catholic history, I was reminded of the goodness, joy, and unity at the heart of it all. I felt the same sense a few days ago as I sat in the Sacred Heart Social Ministry office with Hector. We’ve gotten to know this dear elderly man well over the last months as he sought our support during his wife’s terrible illness. She died yesterday. Today, there were glistening trails of tears traversing his rough, sun and wind beaten face. He was a bit dirty, smelled like sweat and smoke, and looked totally worn out, like a marathon runner who has finally crossed the finished line and must now catch his breath. Hector fought so hard for his wife for the last few years. They live in Ciudad Juarez, Mexico, where she was unable to get the treatment that she needed. Although he was a U.S. Resident, she had no U.S. documents. He did everything he could to try to get her a humanitarian visa, but it was to no avail. He eventually took the classes and spent the $600+ needed to apply to become a citizen himself and then petition for his wife. He sold much of what they owned to pay for this. Even after all of that, his petition wasn’t approved. Hector came to us to see if we could help pay for the funeral and burial, which would cost 10,000 pesos, or almost $800. As I was filling out the paperwork required to give out emergency financial help, word about his story got around the office. There were people sitting in the lobby, hoping to be picked up for a day of work through our job program. There was also a Citizenship class going on in the Adult Education room. Nobody there is well off, but people started scraping their pockets for whatever they might give, like the Biblical woman placing her treasured coins in the collection plate. Just a moment after he left, another woman came in with a bit of money crinkled in her fist. She handed it to him, and then embraced him. “God bless you.” Hector shook in her arms and cried, this time overcome with gratitude. I asked if he wanted me to help count the money. There were $35 in the envelope. Hector then opened his fist and found 2 dollar bills from the woman. $37 was a small step toward the $800, but it meant far more than its quantitative value. Hector clutched the money to his chest and lifted his watery eyes to the heavens, calling out to his wife. “Mira, mi amor! Diosito me esta ayudando!” (Look, my love! Our dear God is helping me). Now it was my turn to cry. Christian community. Sacrament. Real presence. This is the vision of Church as the People of God. Each of us called to the table and sent out in our own special way to be Christ’s hands and feet in this world. During this time of transition in our Church, of course it is a moment to join in prayer for the election of a new Pope who will shepherd us with love, courage and integrity. But it is also a good moment to remember that the Church's mission will never be fulfilled by one person. It is up to each person to listen for and respond to God's call of Love. Many the gifts, many the works. The theme of the Congress was “Enter the Mystery,” and Sr. Maureen Sullivan, the Sunday morning keynote speaker, shared theologian Karl Rahner’s definition of mystery: It is not that which I cannot know but that which I cannot exhaust. What a wonderful thing to reflect on our Lenten journeys. Our God is a God whose love and forgiveness cannot be exhausted. Our oneness with God and neighbor cannot be exhausted. Our capacity for transformation as we turn again to the Lord cannot be exhausted. That is the hope of Lent. In God, there is always more, further, deeper. Community helps us to know this inexhaustible Mystery. The Real Presence of Christ imbued the gathering of Christians at the Anaheim Congress and the small act of love to a poor Mexican man in my office at Sacred Heart Church. Can you imagine a world full of people committed to really loving God and neighbor? "Many the gifts; many the works. One in the Lord of all." How will you be sacrament to others today?